Shopping online for furniture can feel a little bit like dating. You spend hours researching online (c’mon, who hasn’t Google-stalked a date before?). You daydream about the new life you’ll spend together (forever, of course). But in that magical, silver screen moment—when the doorbell rings and the door swings open to unveil the actualization of your week-long fantasy—there can sometimes come anguish and disappointment. Nothing says deal-breaker like cheap materials and “assembly required.” At KKH, we strive to always bring the romance and arrive at your door with a bouquet in hand. Today on the blog, we’re sharing our eight simple rules you should follow when buying your furniture online to guarantee your date with new furniture…won’t be a dud. Oftentimes, the internet can feel like a bottomless chasm of clickbait articles and cat videos. We’re constantly spammed with fake news and sham shopping sites, so it’s understandable that shopping for furniture online can be scary. Luckily, there are several measures you can take to keep your personal and financial information protected. 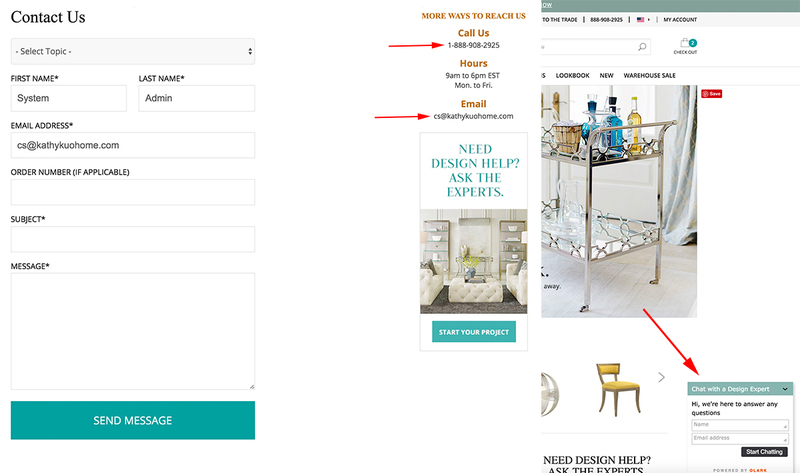 Easily accessible contact information is another way to verify an online store’s legitimacy. If a company isn’t easy to reach via email or phone, there’s probably a reason for it. (In case you were worried, we’re more than happy to talk to you any time at 888-908-2925 or via email at cs@kathykuohome.com). Perhaps the best way to confirm credibility of an online store is to visit a brick and mortar location where you can walk in and speak to a business owner or manager yourself (which why we’re super excited about Design Bar opening in 2017!). As we’re sure you’re aware, there are many sites we use every day where this is not possible (Amazon, Etsy, etc.). In these instances, call in and actually talk to somebody! And of course, use your best judgement. Is the site updated regularly? Does the site look aesthetically pleasing? Is it well organized? Is it user-friendly? These are all important factors that we consider every day to make Kathy Kuo Home better for our customers. Chances are, if a site is reputable, it is also working toward these same goals. We understand your uncertainty. Not being able to see our pieces in person is one of the biggest challenges we face as a company. How do we solve for this? Firstly, our products are hand selected through actual interfacing with the items at design shows. We take the time to understand the material integrity and the fabrication and finishing of every piece we put on our site. Every item we carry passes our stringent merchandising requirements (no composite woods, no flame retardants, responsible harvesting of solid wood, etc.). If you’re still unsure about an item, just reach out! We can provide sample fabric swatches or wood samples so that you can have a confident idea of the color, texture, and make of a piece before you purchase. We also often have a personal take or additional showroom photos of our pieces that we don’t present on our site. It the finish shiny or matte? How distressed will the wood look? Our design specialists will know the answer. We’re telling you now, you can’t just eyeball it. Break out the tape measure and mock up the space your furniture will take up on the floor with painter’s tape. 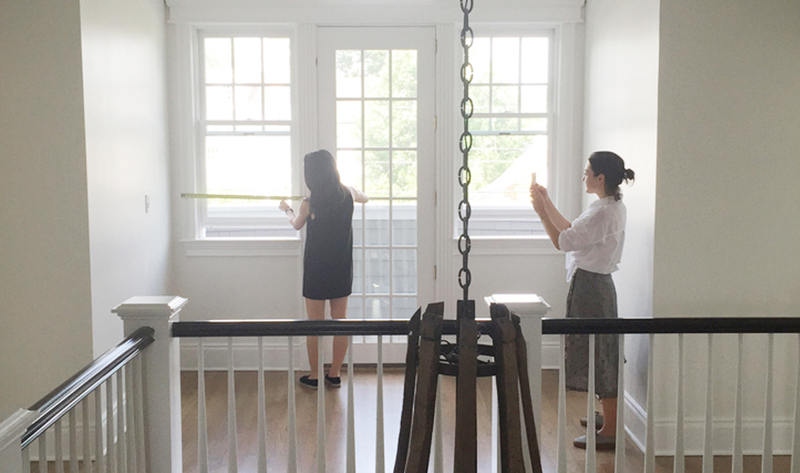 (Get more tips on how to measure your space here.) But don’t just stop there. Think about delivery. Will it fit up the stairs? Will it fit through the doorway? Don’t forget to measure bottleneck areas (hallways and staircases) too. We’ve all seen the scene from Friends. Let’s not end up here. This may seem like obvious advice at first, but we’re all a bit guilty of skimming the descriptions of the items we buy. We realize this, so we try to make all of the information on our site as scannable as possible. But by closely reading the product page, you can get product dimensions, materials, lead times, and any special notes you may need to know about the item. You should also be wary of shipping and return policies. Stay tuned for an entire article dedicated to this topic, but the short of it is this: shipping and returning furniture is expensive. At KKH, we work rigorously with our warehouses, our shipping companies, and our own pricing to cover the cost of free shipping. If you find similar furniture at a lower cost, make sure you add shipping into your calculations. At some furniture retailers, shipping can cost just as much as the price of the item itself! At KKH, we believe that quality designer furniture is worth the cost. We work with our manufacturers to get the best prices we can for our customers, but we’ll always sell furniture we believe in over furniture we can sell for an attractive price. Don’t be fooled by the cheap stuff (especially for big items that you’re going to want to last for years to come). We won’t mention any (Swedish) names, but if you see a sofa, bed, or dresser listed for way under the average market price, it’s most likely made of cheap materials with poor construction. If you read our budget breakdown article, we review the prices you can expect to pay for designer furniture. When in doubt, just give us a call and inquire about the construction and composition of our pieces, and we’d be more than happy to answer your questions. It might be a stock photo, but we’ve all felt like this guy above. Nothing wastes an afternoon like trying to figure out how to put a dresser together. 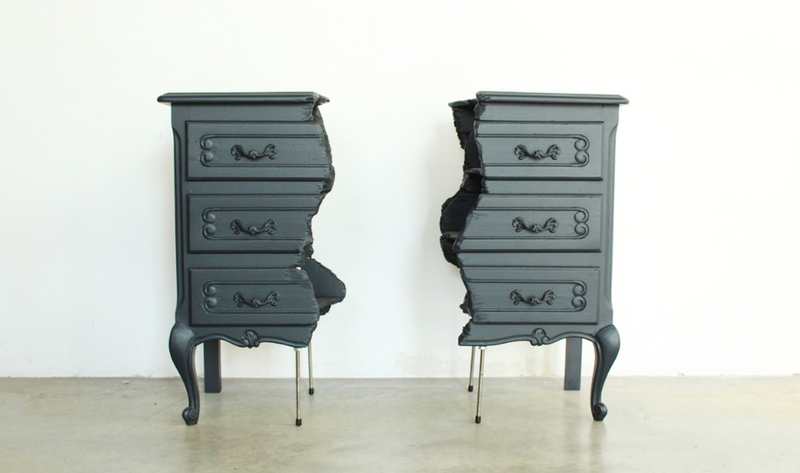 Unfortunately, many furniture retailers will deliver their items disassembled and flat-packed. You are required to assemble it, which is often a painstaking process that doesn’t always end well (you’ll just count yourself lucky if the instructions are available in your language). This is why at Kathy Kuo Home, we choose to ship large items pre-assembled and ready for placement; it guarantees a professional grade of quality and construction. And if there’s a piece that simply cannot ship in one piece (like a bed), we offer assembly services to make sure your piece is put together correctly and installed professionally. While we do everything we can to ensure you’ll love our product, there are always things that go wrong. Something may break during transit, or you might change your mind on an item. What many people don’t realize is the cost that comes with returning furniture. Shipping fees may apply, and the industry average for a restocking fee is 25% of the cost of the item. But there are things you can do to help with these costs. 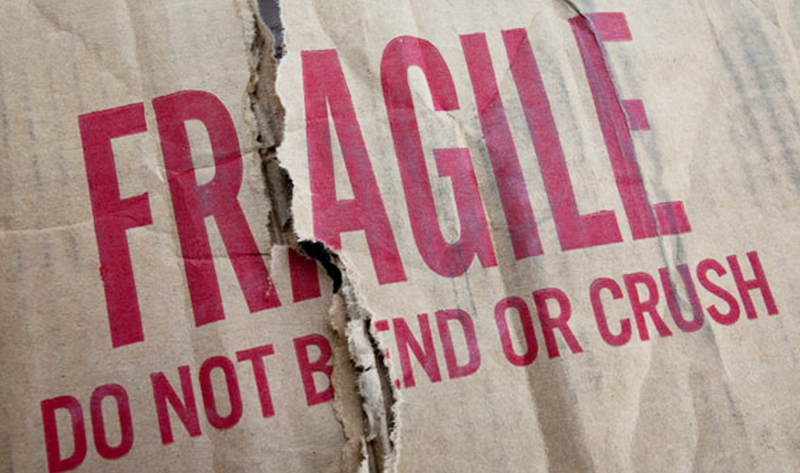 If an item arrives damaged, refuse the delivery and take photos of the packaging. The more photos you take of a damaged item still in the packaging, the better. This proves that the item was damaged during transit, and the shipping company will be responsible for the return costs. Also, remember that most furniture, when returned, is returned to a warehouse, so most companies (including KKH) just cannot take returns without the original packaging we need in order to store your return. Still have questions about buying furniture online? Ask below, and we’ll give you our thoughts!